Pelayo Bezanilla, public affairs and comms manager, Coca-Cola, says PR professionals are hot to improve the reputation of Chile's private sector. What are the hot business sectors now? Santiago is the main economic center of Chile. Financial and business services, as well as trade, are its largest sectors. 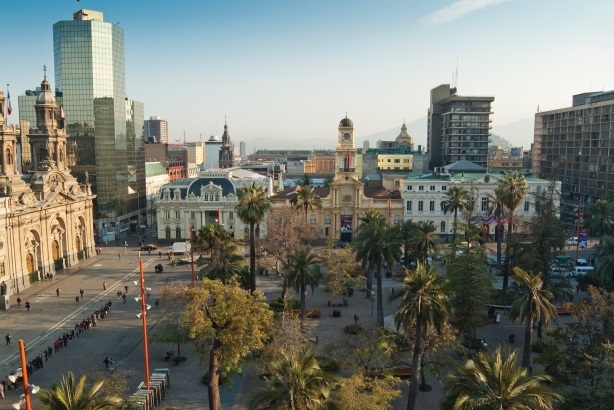 In the last few years, economic activity has moved from downtown Santiago to the east sector of the capital in an area known as El Bosque. What is the comms landscape like in Santiago? Companies have faced scandals on many different levels and if you add all those scandals together, the image of the private sector in Chile is not fantastic at the moment. There is a lot to do in terms of improving its image. Communications professionals have a significant amount of work to do to help organizations and executives manage their images and reputations. Is Coca-Cola doing anything to overcome those comms challenges? We have a proactive strategy to try to strengthen our communications capabilities with the media and key stakeholders. We are doing all we can to show how Coke is a very transparent company and we are open to speaking with the media about our processes. We’re also trying to show who we really are and what we are doing to make Chile a better place, and how we help the people in the country have a better quality of life. Chile is the first country in Latin America to launch the new Masterbrand strategy for the company. [Coca-Cola will market its entire range rather than each brand separately and will reportedly boost marketing spend on lower- and no-sugar calorie colas.] This is the most important project we are currently working on. How easy is it to find communications talent in the city? It’s getting easier. There is an increase in talent. Most of the communications professionals in Chile are former journalists or trained media practitioners. Journalists who know how PR works, how the media works, and how we should manage our relationship with media members are becoming the new wave of comms advisers. Companies require more professionals to help them manage their communications on a daily basis. There’s a growing market for professionals interested in working as advisers for companies or as in-house communicators. Business managers or professionals also understand the importance of having skills in communications and PR and are studying for a master’s or pursuing different degrees in communications. What role does social and digital play at Coca-Cola? It’s a very important tool to show what we do as a company. It’s not just about our products, rather it is about what the company does in the sustainability field, for example, to engage with consumers in a permanent conversation where we can help each other, and, more importantly, learn from each other. If you want to manage your reputation, you must be part of that conversation. What’s happening in terms of social media and the city? Santiago’s citizens have multiple connections through new platforms. The use of smartphones is extensive and Wi-Fi is available in a number of public and private spaces. Interaction happens not only among citizens, but also between them and public and private organizations. A recent study carried out by the government indicates that 66% of Chileans have a permanent connection to the Internet and 62% of households have their own Internet access. This is 12% less than the Organisation for Economic Cooperation and Development average, but 27% more than the average for South America. What do you love most about Santiago? I like the increasing diversity. Also, Santiago is a more conscious city about the importance of tolerance.